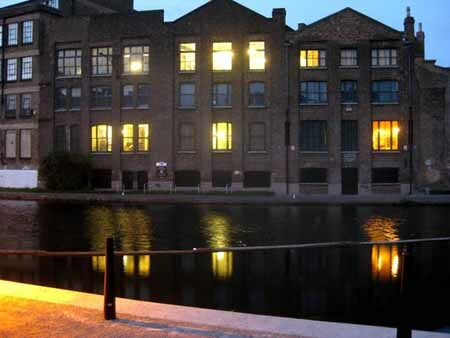 It is situated in a Grade II Victorian warehouse by the Regent's canal in London's Mile End. The museum was opened in 1990, in the premises of the former Dr Barnardo's Copperfield Road Ragged School. The school opened in 1877 to serve the children of Mile End with a basic education. It closed in 1908, when the London School Boards were sufficiently established to take over the work. Ragged schools were free schools for poor children. Due to demand, in 1876, Dr Barnardo rented two warehouses (now 46 Copperfield Road) and converted them into the Copperfield Road Ragged School for children aged 5-10 years. Here poor local children received a free education, breakfast, dinner and help finding their first job. Each floor was made into a big classroom with a fireplace, and the loopholes (warehouse doors) were replaced by windows, the basements became the playgrounds. In 1908, the London County Council condemned all the Copperfield Road buildings as unsuitable for the education of children so the day school was shut down. After 1915, 46 and 48 Copperfield Road were divided up. 48 Copperfield Road was used as a factory until 1983, with the last occupant making motorcycle leathers. 46 Copperfield Road was used by Jewish clothing manufacturers, rag merchants, furniture makers, linen dealers and finally as a government surplus warehouse. Although only one hundred and thirty years old, the previous uses of the buildings seems to have left their mark. Over the last seventeen years there have been reports from visitors and staff alike, ranging from feeling apprehensive in parts of the building to the sounds of phantom footsteps. Medium's claimed to sense several individual spirits, including a dirty washer-woman, a strict headmaster and the 'residual' memory of child molestation. Children's cries and laughing have been picked up on sound recordings; running has been heard and chanting. There has also been a sinister sighting of a shadow that just floats past, this ghost has been seen by many of the visitors. There are lots of noises and responses to questions by tapping or banging. Ghost hunts and paranormal investigations are held at the Ragged School Museum throughout the year.